Hope you remember I trade mutual funds as well. Trading mutual funds is very easy way to make money. You just need to decide how much money you need to allocate from which fund to which fund. And when time comes, book your profits. You should know that there are two types of funds – equity and debt. Well there are more types of funds, but to know what I do, you just need to know these two type of funds. Now read this article on how to trade mutual funds written on September 8, 2015. At that time Nifty was down by about 8-9% from its recent high of 8500. It was trading at around 7550 levels. I saw a great opportunity and traded my mutual fund. And also wrote an email to inform you about the trade I took. Well in short I “Switched” a significant portion of my money in liquid fund to a pure blue chip equity fund – ICICI Prudential Focused Bluechip Equity Fund. Obviously the idea was to take benefit of the low levels of Nifty and book profits when it goes up. 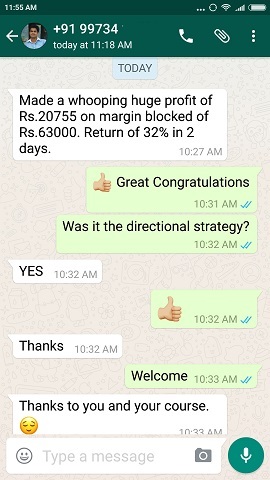 Well today, after 42 days in the trade, I booked profit. I shifted all cash from the equity fund back to the debt fund – essentially locking my profits. 1. Bihar elections are coming – anything may happen. I do not want these profits to go. 2. 6.5% came in 42 days – that’s really cool. Liquid fund gives me a return of 9% in 365 days. 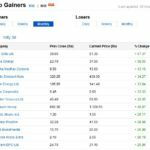 6.5% in 42 days is free money compared to 9% in 365 if I did not used the opportunity. I am OK with this. 3. If Nifty moves up I can always shift part of profits of other equity mutual funds back to liquid funds – so Nifty going up is not an issue. 4. Nifty is up by almost 9% since the last 42 days – the speed is quite good and I feel its going to be stable for quite some time now. And if equities are stable there are no profits – but there is always profit in the liquid funds. Waiting more means I will waste my time with this fund. This was not acceptable. For the above reasons I booked the profit. Nifty gave a return of 9%, but my fund gave a return of only 6.5%. 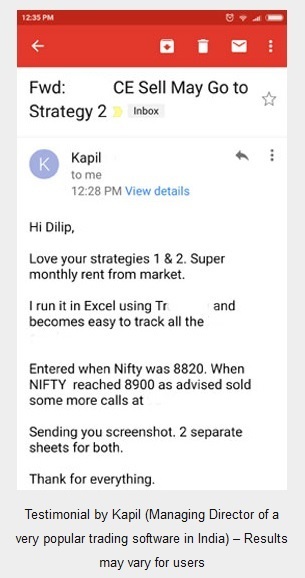 I got unlucky here – had I shifted my funds to a fund that follows Nifty my gained would have been 9% too. Next time this will not happen. I will shift funds to a fund that follows Index. That way I know when to exit looking at levels of Nifty rather depend on the fund manager. On top of that the exit load of Index funds is much less than that of pure equity funds. Note: I usually shift my funds to Index funds only – but this time got greedy and paid the price. 🙂 6.5% is good but 9% is better especially if it takes the same time and effort. The only thing that needed to change was my decision. Can This Make Significant Income? Lets say it only adds 2% per year on my whole mutual fund portfolio since I trade this in only on a part of my funds. A 12% compounded return on 100,000.00 invested every year in 20 years will become 8,069,873.55. A 14% compounded return on 100,000.00 invested every year in 20 years will become 10,376,841.75. That’s Rs. 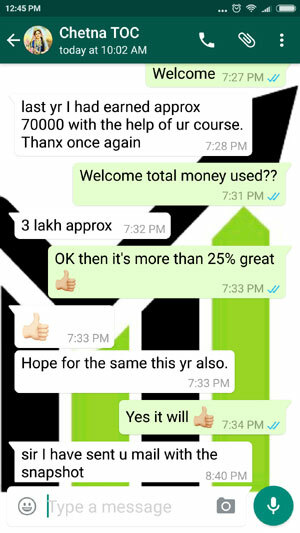 23,06,968.00 (23+ lakhs) more for just taking a decision and pressing a few buttons on my Laptop sitting in my home. In other words its also making more than 16,000 per month for the next 20 years without any extra work. Isn’t it a nice pay cheque for almost no work? Remember I am only calculating this on an investment of 1 lakh every year. If you invest more it can make a very significant impact on your total portfolio in a matter of few years. And one more thing. There are no liquidity issues here. Just trade whenever you want to. Yes of course. 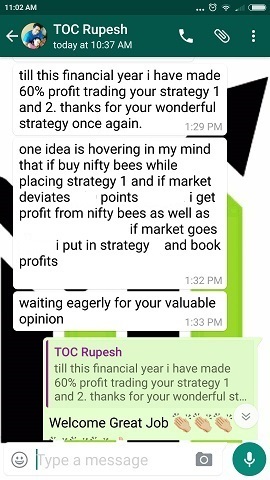 Nifty may take a lot of time to give 8-10% return, but who cares? Why? Because I am only trading a part of my liquid funds – the rest of the money is still making 9%. If I need cash I can take it out from the pool of cash in liquid funds. And wait for the equity portion to come in profits. Yes. 100% of the time. Because Nifty never had a great fall in last 3 years. Well it may fall a lot in future but like I said if proper risk management is in place you really do not care. I followed your advise and i got 6.98% in 46 days from Icici bluechip fund. though the amount is less because my investment is less the profit percentage is good. Now how to lock this profit ? Is it good to go for liquid or debt fund? Yes you can shift funds to a liquid fund. By the way a liquid fund is a type of debt fund. Debt funds are of three types – ultra short term (liquid), short term and long term funds. If you want to park funds for 3 months or less then its advisable to keep them in liquid or short term funds. Hope it helps.